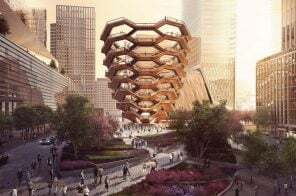 Editor’s note: A previous version of this post included renderings and details that do not represent the final project and have been removed. 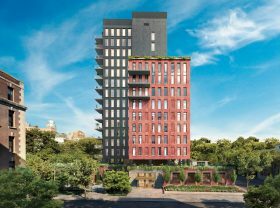 The second phase of Fortis Property Group’s five-building project in Cobble Hill will continue into the new year, with the complex’s tallest tower expected to enter the market soon. 2 River Park, located at 91 Pacific Street, will top out at 28 stories, 475 feet tall. In addition to being the tallest at River Park, the condo tower will become the tallest in South Brooklyn, which contains Boerum Hill, Carroll Gardens, Cobble Hill, Gowanus, Park Slope, and Red Hook. 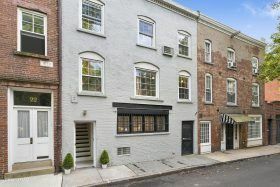 This four-bedroom condo on a quintessential Cobble Hill block is currently on the market for $10,500 a month. With rooms to spare, it’s perfect for a growing family. 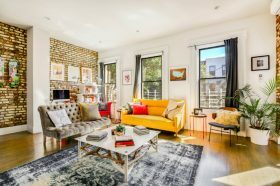 The two-level unit is bathed in southeastern light, in tip-top shape, and features cute decor details throughout, like exposed brick and hardwood floors. To top it all off, a private roof deck provides a cozy outdoor sanctuary. 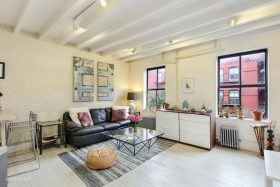 This super-cute Brooklyn one-bedroom-plus-office at 242 Baltic Street in Cobble Hill has the necessary location and space for a $830,000 ask, with some standout extras. 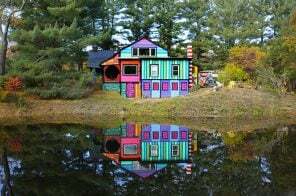 A colorful kitchen and a dreamy private garden–in addition to the bonus room that opens out to said garden, plus a laundry room–add some extra boxes to check. 5 River Park; image credit: Williams New York. 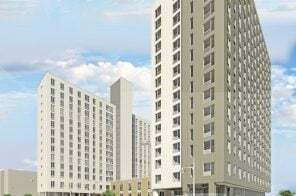 Sales began this week at 5 River Park, the first new tower to rise in the River Park project, the seven-building masterplan redevelopment of the former Long Island College Hospital Site. The new building, whose address is 347 Henry Street, is the first to hit the market in phase two of a masterplan comprised of the project’s first three new towers, which in turn are part of Fortis Property Group‘s $240 million plan to transform the Cobble Hill facility into market-rate condos and a clinic. 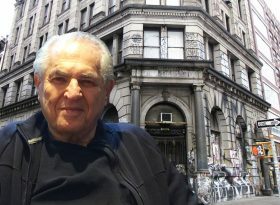 Jay Maisel is best known for the incredibly expressive stories he tells through his beautiful photography. 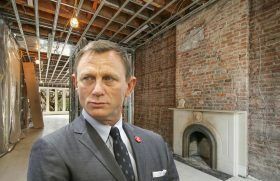 But in recent years, he’s become perhaps just as well known for his New York City real estate story where he made the deal of the century when he sold his home, the Germania Bank Building at 190 Bowery. 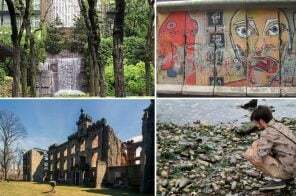 What he’s not at all known for, though, are the stories he tells through the hundreds of thousands of memories that fill his home and studio. 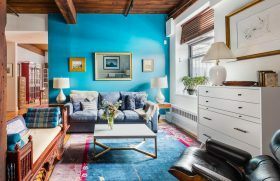 On a quintessential tree-lined Cobble Hill block just to the east of the Columbia Street Waterfront, the equally quintessential historic townhouse at 388 Henry Street is seeking a new owner for only the third time in 100 years. 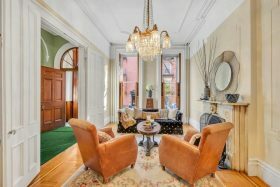 Asking $3.7 million, the four-story, two-family home is filled with period details, with plenty of room for new ones. Most Cobble Hill residents are familiar with the Cobble Hill Towers, distinctive red brick buildings—nine six-story walk-ups in all—built in 1879 by the philanthropist Alfred Tredway White. The buildings were converted to condos in 2010, and what was formerly envisioned as worker’s tenements is now hot Brooklyn real estate. This particular one-bedroom, one-bathroom apartment has been thoroughly renovated, with some custom touches from the dining table to the closet doors. 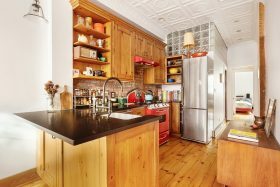 The apartment sold three years ago for $416,120, and has just hit the market asking $675,000.